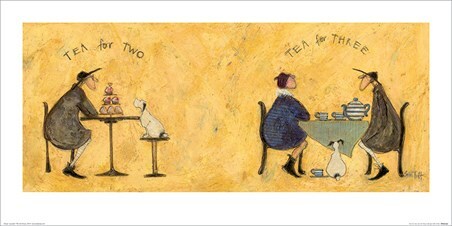 Join Mr Mustard, his beloved wife; Violet Mustard and their dog; Doris, for a spot of afternoon tea and cakes. 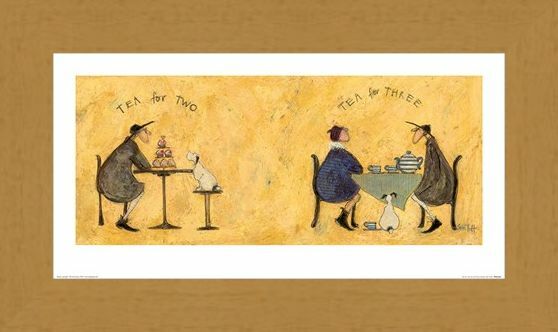 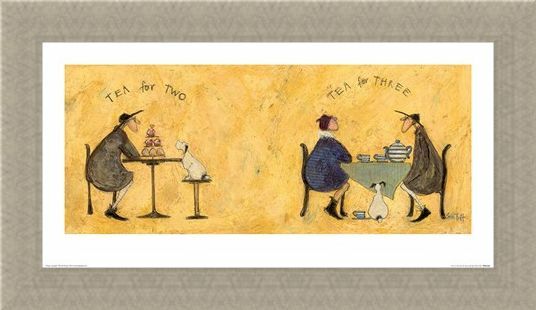 This beautiful print from Sam Toft combines 2 of the talented British artists stunning pieces entitled 'Tea for Two' and 'Tea for Three'. 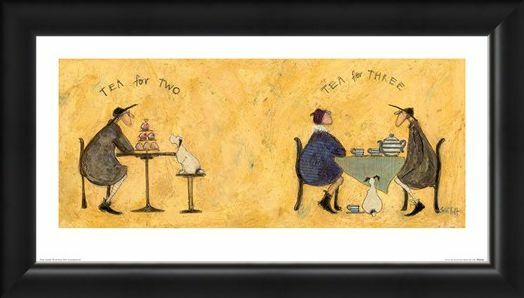 No matter how many guests you have over for a chin wag around a pot of tea, this will be the quintessential addition to your home. 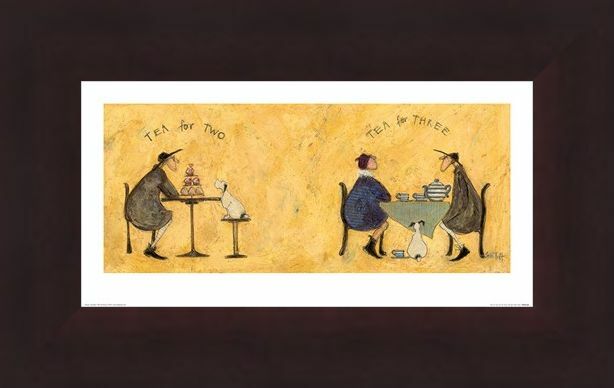 Whether you adore the heart-warming sentiment behind Sam Toft's amazing art, or you simply relate to these lovable characters, then hang this on your wall for a classic homely feel in any room. 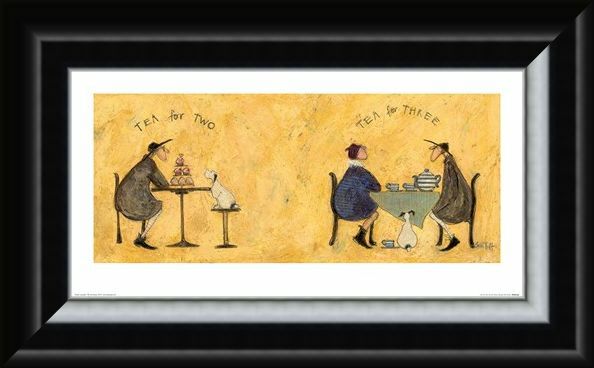 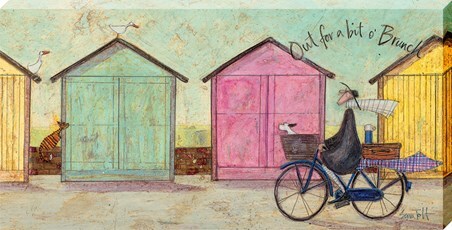 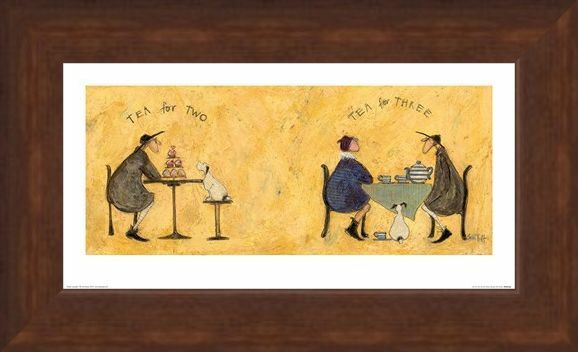 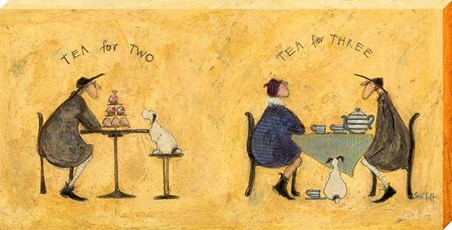 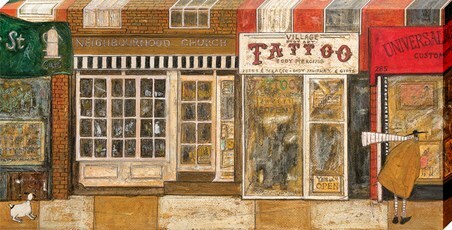 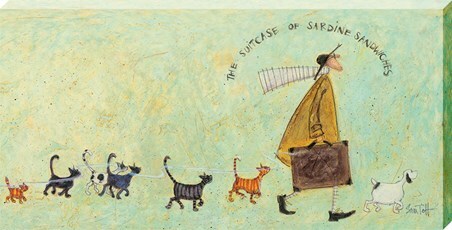 High quality, framed Tea for Two, Tea for Three, Sam Toft print with a bespoke frame by our custom framing service.